In recent weeks, I’ve been back in the world of physician-hospital alignment, speaking on the topic at a recent conference and preparing to moderate a local American College of Healthcare Executives panel on hospital-medical staff relations. We are asking physicians to lead but are we preparing them to lead effectively? Why are so many physicians dissatisfied? Why are health systems struggling to engage the medical staff in important initiatives? What can we do about physician burnout? We could talk for hours on each of these topics, but let me give a few brief thoughts on each. 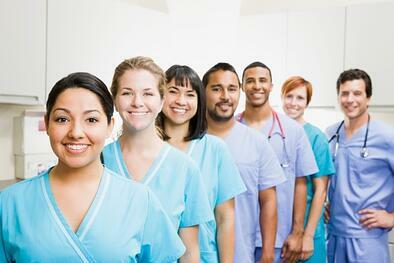 According to a recent report, U.S. industries see first year turnover of 21.5% but in the hospital sector it’s 28.3%. As many as 22.2% of nurses will leave after their first year. Hospital and health system physician recruiters are working overtime these days. More private practice physicians are opting for employment and new graduates want to avoid the headaches and uncertainty of private practice. Everyone is focused on physician recruitment but what about physician retention? Medical groups reported an average turnover rate of 6.8 percent in 2012. While it’s much lower than hospital average turnover of 28%, the cost is astronomical. I predict that turnover is going to continue to be a problem. Given the current wave of physician employment and practice acquisition, we’ll see many physicians, three years from now, unhappy with the deal they made or their working situation.